At Montevallo Family Dentistry, we do our absolute best to help you protect and keep your natural teeth with general dentistry. However, there are certain situations that warrant a tooth extraction. If you need to have a tooth removed, you can trust our team to deliver top quality care. Dr. Shunnarah is a gentle dentist who uses skilled precision when extracting teeth. Our practice is equipped with everything you need to minimize your discomfort during the procedure, including state-of-the-art technology, modern patient amenities, sedation dentistry and more. When choosing Montevallo Family Dentistry for your tooth extraction, you can trust us to treat you like a member of our own family. We take the time to inform our patients on what to expect during and after this simple procedure. In addition, Dr. Shunnarah uses extraction techniques that preserve as much surrounding bone and tissue as possible. The wisdom teeth are the third and final set of molars. Unfortunately, many patients do not have enough jaw space for these molars to erupt in a proper, healthy manner. This leads to common wisdom teeth problems, which may include the teeth coming in sideways, getting trapped or impacted below the gum line or partially erupting. All of these issues can significantly jeopardize your oral health. In fact, impacted wisdom teeth may lead to jaw cysts, infection, bone loss and misalignment. 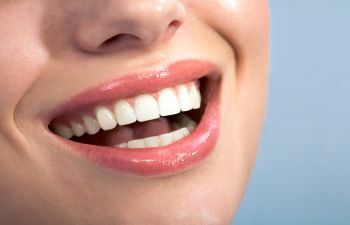 Consequently, to prevent these complications, wisdom teeth are often removed in patients between the ages of 16 and 20. Rest assured that wisdom teeth removal is provided with the highest standard of care at Montevallo Family Dentistry. We offer sedation dentistry to eliminate your pain and help you relax. Dr. Shunnarah will also carefully explain your post-operative instructions to accelerate healing and reduce your discomfort at home. To learn more about tooth extraction or wisdom teeth removal from a reputable dentist, please contact Montevallo Family Dentistry today. In addition to our extraction services, we also offer a full range of options to replace your missing teeth, including top ranked dental implants.